NOTE: More Grand Marais scenes are posted often on my blog at www.agatelady.blogspot.com and on my main personal Facebook page at https://www.facebook.com/karen.brzys . I also post agate photos, shared mostly from various Facebook rockhounding sites, to the museum’s Facebook page at https://www.facebook.com/pages/Gitche-Gumee-Agate-and-History-Museum. For this webpage update, I have selected some of my favorite pictures from the late winter and early spring. 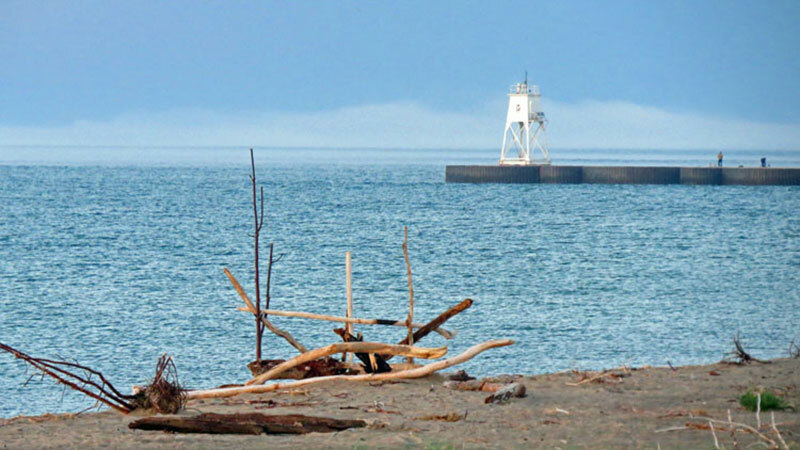 First, here are a couple of photos of the outer harbor lighthouse at the end of the channel leading into Grand Marais Bay. 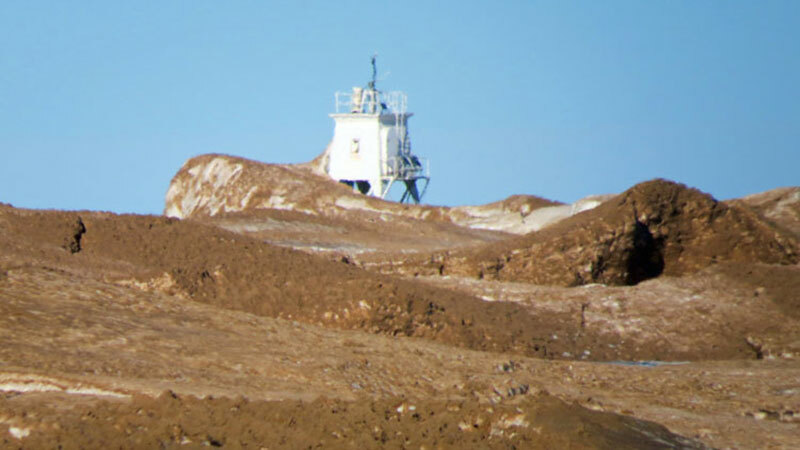 These photos were taken when the ice around the lighthouse was at its peak in late April. 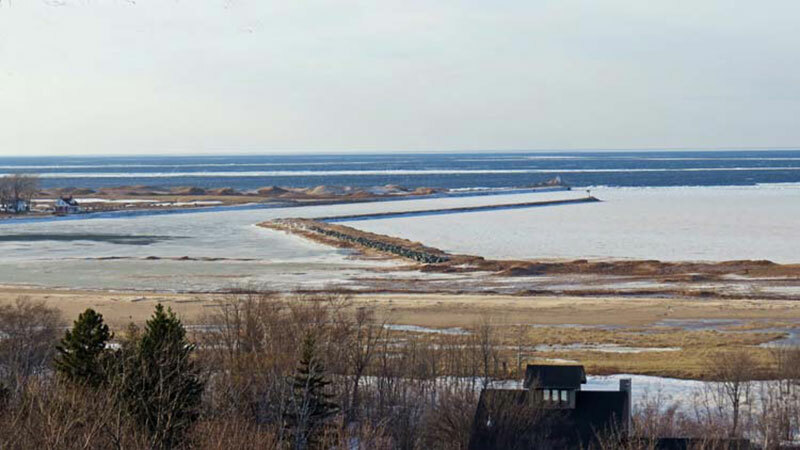 Check out this view from the bluff on the south side of the bay looking across the new breakwall toward the channel leading into the bay. 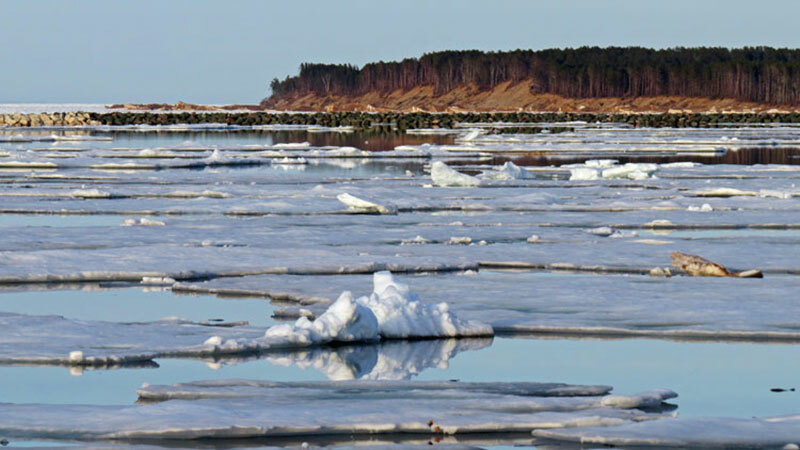 Late April is the best time to take pictures of the shore ice. 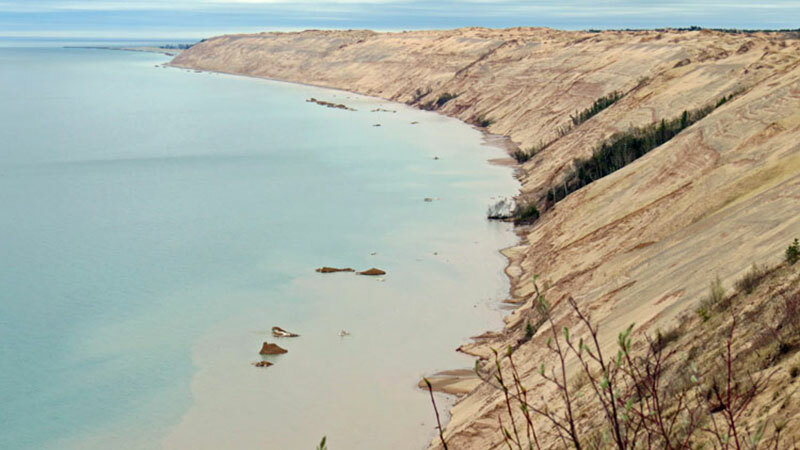 These pictures were taken from the bluff in the Grand Sable Dunes, looking west and east. 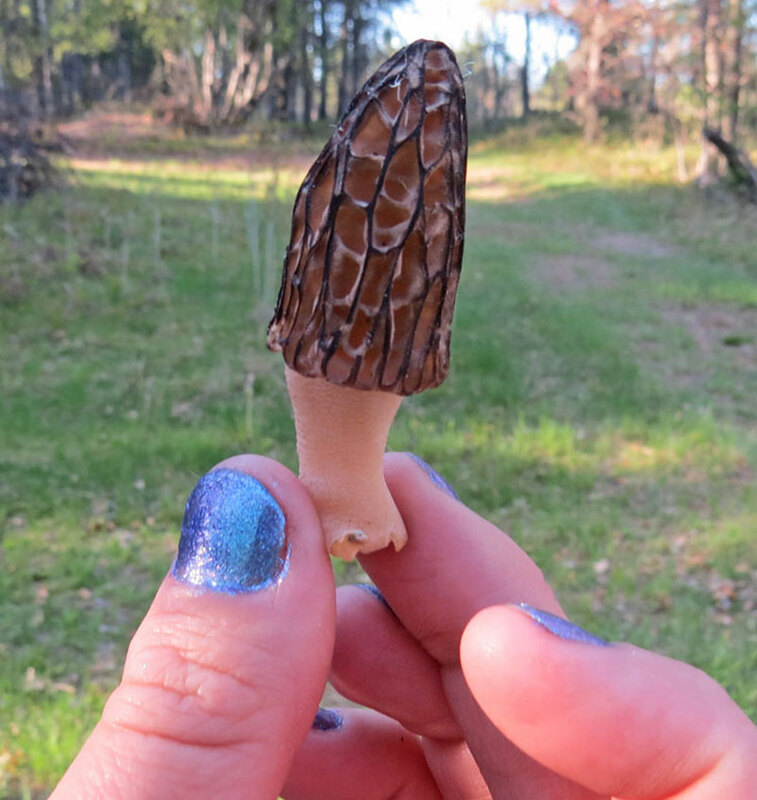 Here are a few of my favorite photos taken also in late April. 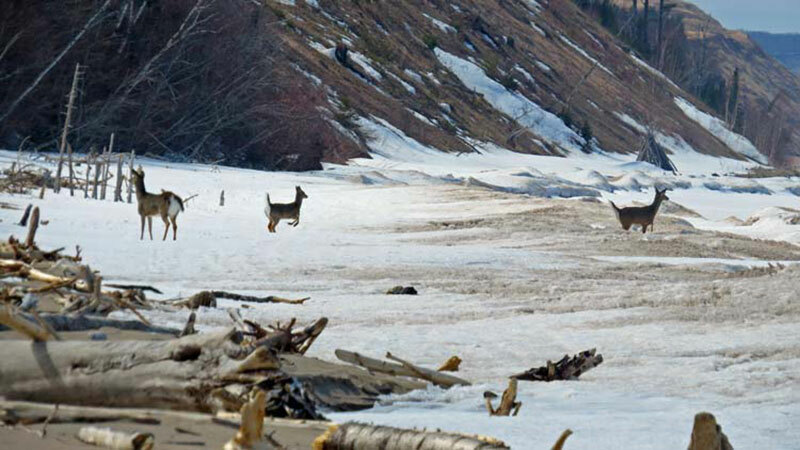 The first shows deer on the beach near First Creek on the west side of town. 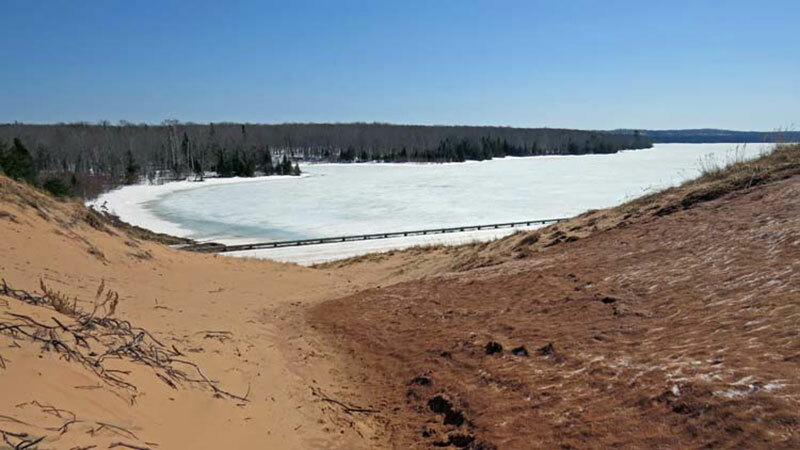 The second shows a still frozen Sable Lake as seen from up in the dunes. 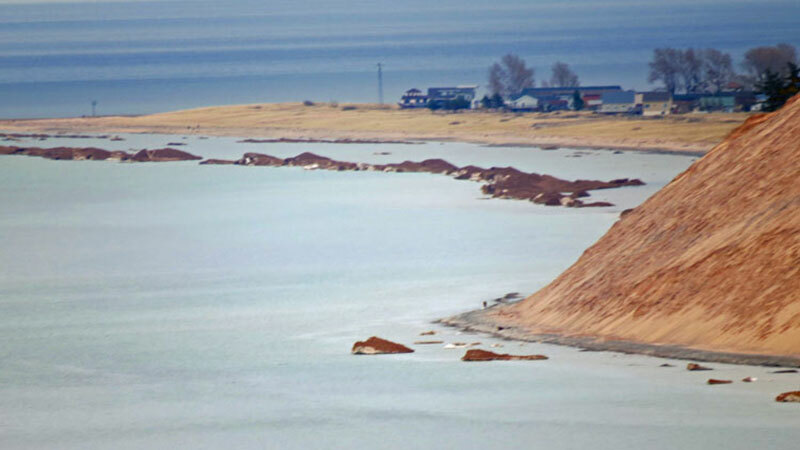 At the end of April I walked out onto the breakwall for the first time this year. 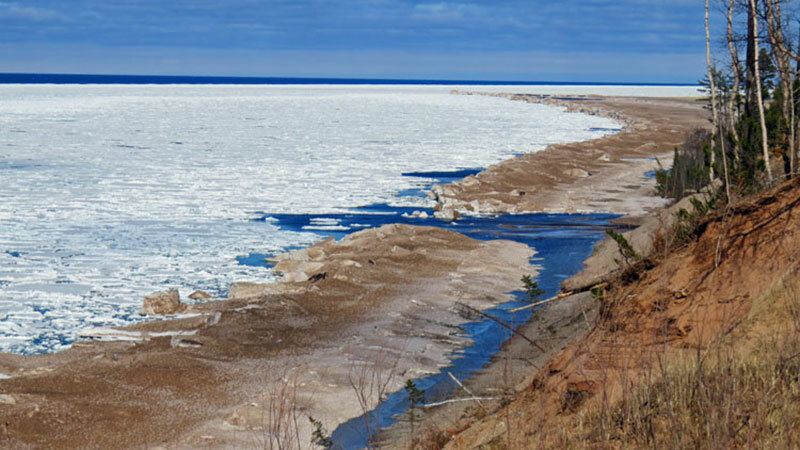 Each spring is like a right of passage when we do a lot of “firsts” including walking the breakwall, driving the back road to Munising, accessing the bluff (used to be beach) east of town, etc. There was still floating ice in the channel and across the mouth of the bay looking east. 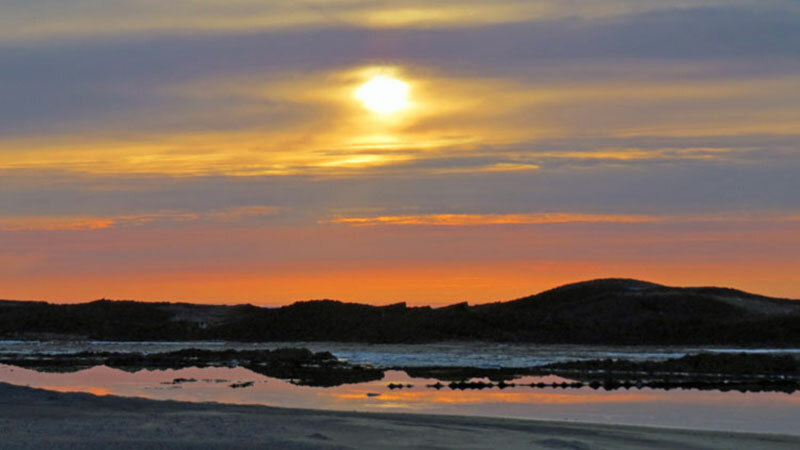 The sunset shows that there were also icebergs looking west. 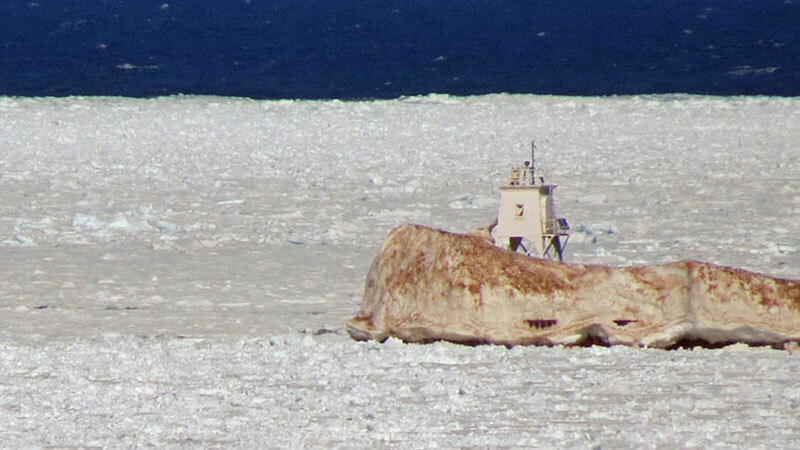 In early May we had some warm days that melted most of the snow and almost entirely reduced the icebergs. 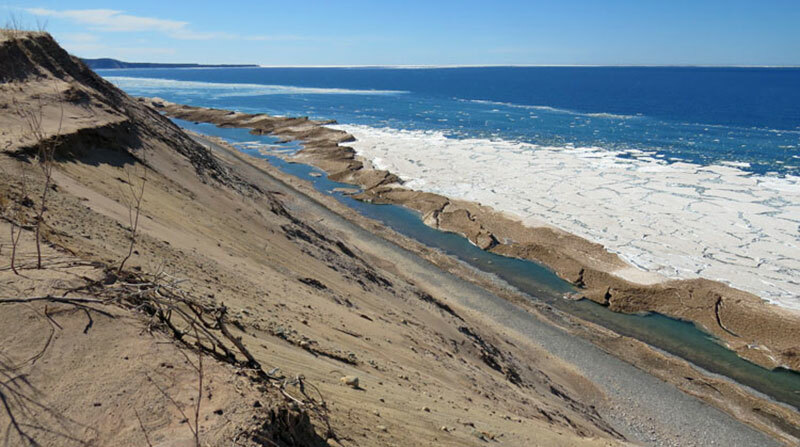 However, you can still see the iceberg remnants in the photos below taken from the trail between the Log Slide and Au Sable Point. The dunes with the last of the snow are shown in the picture below. 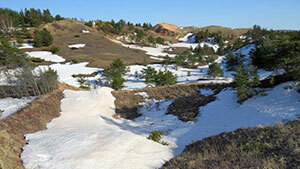 I love this time of year since the snow, sand, and dune grass provide a lot of contrast. 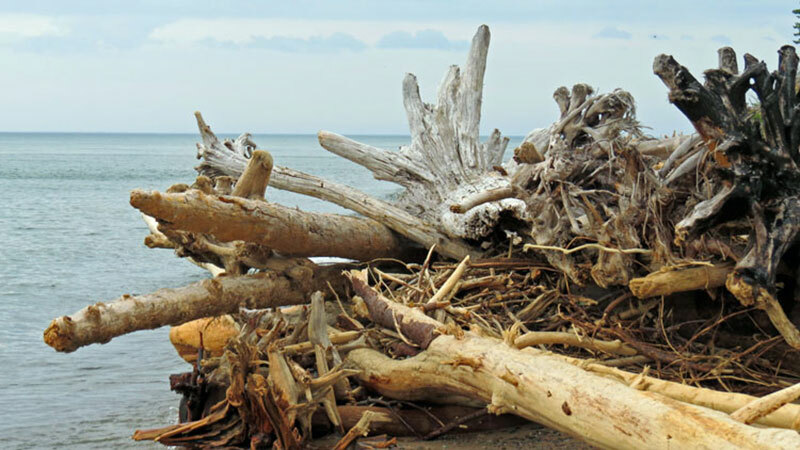 If you like driftwood, spring is the best time to comb the Grand Marais beaches. 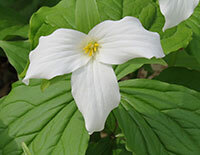 Once the tourists start coming, much of the driftwood fuels beach fires (including some of ours). Sure signs of spring – trilliums and morels.